Two police officers with clashing personalities are forced to work as "buddy cops" on a new reality show. Mitch Preston is a veteran Los Angeles police detective with a stern, by-the-book demeanor; young patrolman Trey Sellars, handsome and charismatic, would much rather be acting in Hollywood. 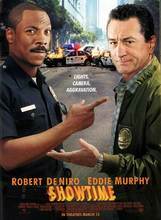 When Trey botches a drug bust working with Mitch one day, the aggravated veteran cop fires his gun in the line of sight of a television news crew, earning fame and a suspension from work; now, if he wants to go back to his old job, he must agree to take part in a Cops-esque reality show with Trey as his "buddy". Julian Dulce Vida ... J. J.